What is Pinhole Surgical Technique (PST)? Home > Cosmetic > What is Pinhole Surgical Technique (PST)? At some point, you might hear a colleague or coworker say they are stepping out to get pinhole treatment on their gums. What’s that? Well, they aren’t talking about some new body piercing. Instead, they are getting a new procedure to improve oral health. It takes very little time (less than an hour lunch break), improves your smile, helps protect your teeth and their roots, all while counteracting gum recession. The procedure is called Pinhole Surgical Technique, or PST. It was developed and patented by Dr. John Chao from Los Angeles, California. Like laparoscopic surgeries in other medical fields, Dr. Chao’s technique is faster, easier, and less invasive than standard procedures like tissue grafting. Dr. Cheema of the Yuba City Dentistry Group is certified to perform this technique, so local Yuba City residents can benefit from PST. What’s Special About Pinhole Surgical Technique? 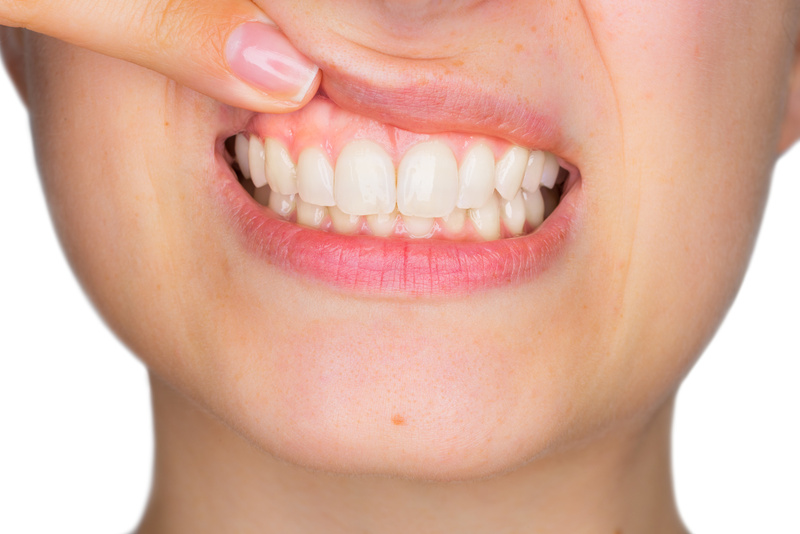 With standard tissue grafting, a piece of your tissue is cut out from another part of your mouth and stitched onto your receded gums –treating two or three teeth at a time. With multiple areas of receded gums, it could take numerous cuts and several months before the procedure is complete. Lingering pain is a typical side effect, and stitches in your mouth feel pretty awkward. With PST, your dentist makes a small “pinhole” in your gumline. Using that pinhole, the gumline is stretched back over its original areas. Biomaterial is then used to reinforce the new attachment. Gum tissue naturally adapts in response, and within an hour you’ll have a better smile and protection for the roots of your teeth. Unlike tissue grafting, PST requires no incisions, minimal stitches (if any), minimal pain, faster recovery, and your whole mouth can be treated at once, if needed. PST offers a well-documented, proven alternative to tissue grafts for protecting the roots of your teeth. If you’d like to know more, please give us a call at Yuba City Dentistry Group to discuss PST and how it can benefit you.